Thang Q. Diep ‘19, a Neuroscience concentrator, lives in Dunster House. Sally Chen ‘19, a joint concentrator in History & Literature and Studies of Women, Gender, and Sexuality, lives in Winthrop House. Catherine H. Ho ‘21, a Neuroscience concentrator, lives in Leverett House. They testified as witnesses in the Students for Fair Admissions v. Harvard lawsuit this past fall. 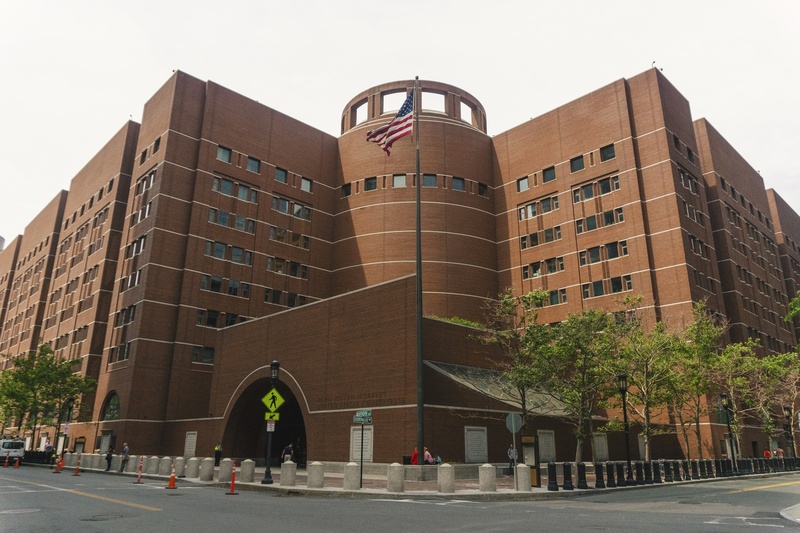 The lawsuit alleging Harvard discriminates against Asian-American applicants went to trial in the John Joseph Moakley United States Courthouse in October. We’re tired. We’re busy with classes, homework, and extracurriculars. But we still took the witness stand in the federal Harvard admissions trial on Oct. 29, doing something that most college students have only seen in television shows. We spent countless hours preparing with lawyers, talking to media, and organizing our peers to rally and march because we ardently believe in the importance of educational justice and accessible higher education for students of all backgrounds. But while it is imperative to defend diversity in admissions, it is not enough to worry about who the school admits. Harvard must also ensure that all students are supported and well-equipped to thrive once they arrive on campus. We asked the judge for the chance to testify in order to, as Harvard characterized it, "offer important and distinctive perspectives on the importance of a racially diverse student body.” Before the court, and the world, we revealed our academic records, family histories, and our aspirations. On legal record, we also re-lived and publicly shared the personal moments in which our university systematically failed us. It is hard to continually fight for and defend our existence at an institution that wasn’t built for us, as evidenced by the lack of a culturally nuanced and competent support network or even a physical manifestation of our presence on campus. Students and alumni have been making the same demands for years. We are tired of having to fight to belong on this campus. If administrators are truly listening, then they know that action is long overdue and students are prepared to hold them accountable. We demand a robust and interdisciplinary Ethnic Studies Department. Harvard has failed, for the past 47 years, to equip students with the language and skills needed to grapple with the critical issues of race and ethnicity of our time, including affirmative action. We need tenured faculty and course offerings in Native American and Indigenous Studies, Latinx Studies, Asian American Studies, Arab and Muslim American Studies, and Comparative Race and Ethnic Studies to address the challenges in our communities both at Harvard and beyond. We demand staff and faculty that value and represent the diversity of the Harvard student body. While University representatives do not necessarily bear ill intent, the number of racially insensitive incidents recounted by students during the course of the trial demonstrates the necessity of mandatory sensitivity and bias trainings for all University employees, including mental health counselors, campus officers, admissions officers, and teaching staff. Harvard’s dedication to diversity should also extend to its recruitment and retention of faculty and staff of color. We demand accessible spaces that validate and address the needs of marginalized students. The call for a stable, visible, and funded multicultural center has existed for decades. The same accommodations need to be extended to and expanded for the Office of BGLTQ Student Life, the Women’s Center, and the many student-run mental health services that currently occupy basement spaces. The history of this campus is physically and symbolically coded with privilege. We need funding and administrative support for affinity groups and spaces in order to begin to shift the tide. We demand more opportunities for students to engage in meaningful public service that aims to not only champion and develop student leadership but also to address community needs. Harvard must uphold and expand a model of service that is community-based and student-led, with increased funding and resources for students committed to meaningful and long-term community engagement. In doing so, Harvard can support work aimed at dismantling the oppressive structures that hinder equal educational accessibility for communities of color and that prevent student success across the board. Institutions of higher education across the nation must better support marginalized students. We hope that Harvard will serve as an example in addressing students’ needs and ensuring that all students succeed. “I’m still confident that we will win in the trial court,” University President Lawrence S. Bacow said, but for the students who have been working overtime to fill the holes themselves in the University's support system, this is not enough. It has never been enough. Harvard claims that it is committed to ensuring each admitted class reflects the diversity of the world we inhabit and create. Now, the administration must proactively work towards ensuring that the campus truly reflects this principle of inclusion and belonging. Harvard may win this lawsuit, but Harvard is nothing without its students. Harvard cannot successfully “educate the citizens and citizen-leaders for our society” unless all students are adequately supported to thrive and succeed in ways that are personally meaningful to them. Administrators, you have our demands. You know what we need. Do something about it. Sally Chen ‘19, a joint concentrator in History & Literature and Studies of Women, Gender, and Sexuality, lives in Winthrop House. Thang Q. Diep ‘19, a Neuroscience concentrator, lives in Dunster House. Catherine H. Ho ‘21, a Neuroscience concentrator, lives in Leverett House. They testified as witnesses in the Students for Fair Admissions v. Harvard lawsuit this past fall.